Astrophysicists report that tardigrade micro-animals may be one of the most resilient lifeforms on Earth, able to withstand global mass extinctions due to astrophysical events, such as supernovae, gamma-ray bursts, large asteroid impacts, and passing-by stars. The world's most indestructible species, the tardigrade – an eight-legged micro-animal, also known as the water bear – will survive until the Sun dies, according to a new collaboration between Harvard and Oxford University. Although much attention has been given to the potential impact of astrophysical events on human life, very little has been published about what it would take to kill the tardigrade and wipe out life on our planet. The new research implies that life will persist for as long as the Sun continues to shine. It also reveals that once life emerges, it is surprisingly resilient and difficult to destroy, boosting the odds of life on other planets. The study, published in Scientific Reports, shows that the tiny creatures will survive the risk of extinction from all astrophysical catastrophes, and be around for billions of years – far longer than the human race. Tardigrades are the toughest, most resilient animals on Earth – able to survive for up to 30 years without food or water, and endure temperature extremes of up to 150 degrees Celsius, the deep sea and even the frozen vacuum of space. The water-dwelling micro animal is only 0.5mm (0.02 inches) in size, but can live for up to 60 years. Researchers from the Universities of Oxford and Harvard concluded that they could most likely survive all astrophysical calamities. There are only a dozen known asteroids and dwarf planets with enough mass to boil the oceans (2x10^18 kg), these include Vesta (2x10^20 kg) and Pluto (10^22 kg). However, none of these objects will intersect the Earth's orbit and pose a threat to tardigrades. In order to boil the oceans, an exploding star would need to be 0.14 light years away. The closest star to the Sun is 4.2 light years away and the probability of a massive star exploding close enough to Earth to kill all lifeforms on it, within the Sun's lifetime, is negligible. Gamma-ray bursts are brighter and rarer than supernovae. Much like supernovas, gamma-ray bursts are too far away from Earth to be considered a viable threat. To boil the world's oceans, the burst would need to be within 40 light years, and the likelihood of a burst occurring so close is again, minor. "Without our technology protecting us, humans are a very sensitive species," said Dr Rafael Alves Batista, Co-author and Post-Doctoral Research Associate in the Department of Physics at Oxford University. "Subtle changes in our environment impact us dramatically. There are many more resilient species on Earth. Life on this planet can continue long after humans are gone. 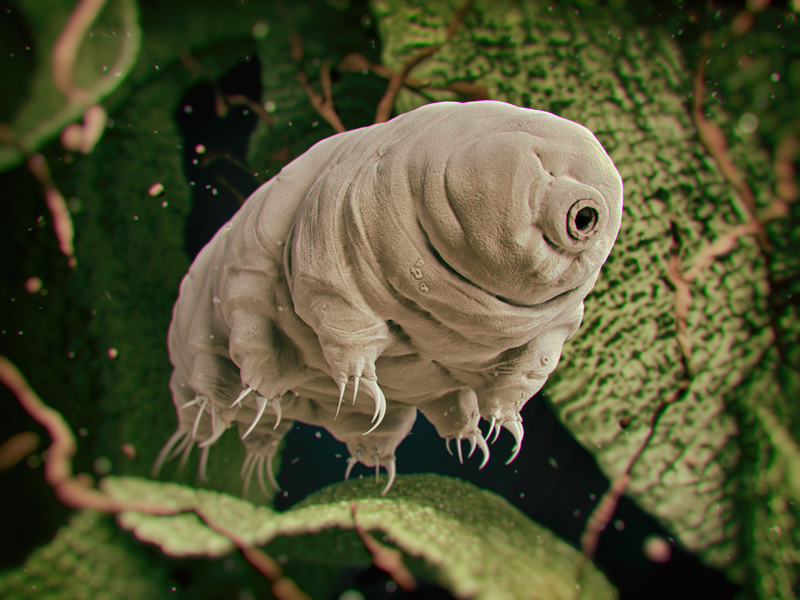 Tardigrades are as close to indestructible as it gets on Earth, but it is possible that there are other resilient species examples elsewhere in the universe. In this context, there is a real case for looking for life on Mars and in other areas of the Solar System in general. If Tardigrades are Earth's most resilient species, who knows what else is out there?" 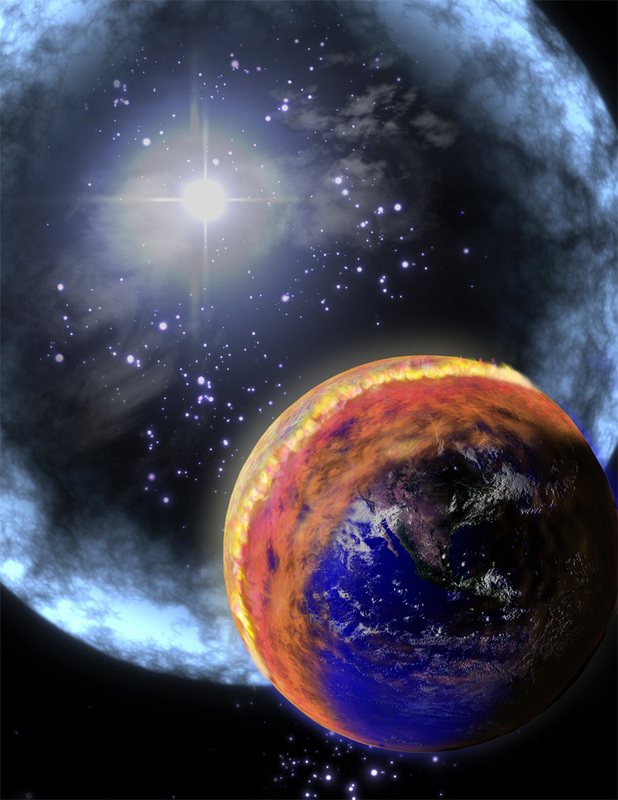 "A lot of previous work has focused on 'doomsday' scenarios on Earth – astrophysical events like supernovae that could wipe out the human race," explains Dr David Sloan, co-author from the same department at Oxford University. "Our study instead considered the hardiest species – the tardigrade. As we are now entering a stage of astronomy where we have seen exoplanets and are hoping to soon perform spectroscopy, looking for signatures of life, we should try to see just how fragile this hardiest life is. To our surprise we found that although nearby supernovae or large asteroid impacts would be catastrophic for people, tardigrades could be unaffected. Therefore it seems that life, once it gets going, is hard to wipe out entirely. Huge numbers of species, or even entire genera may become extinct, but life as a whole will go on." In highlighting the resilience of life in general, the research broadens the scope of life beyond Earth, within and beyond the Solar System. "It is difficult to eliminate all forms of life from a habitable planet," explains Professor Abraham Loeb, co-author and chair of the Astronomy department at Harvard University. "The history of Mars indicates that it once had an atmosphere that could have supported life, albeit under extreme conditions. Organisms with similar tolerances to radiation and temperature as tardigrades could survive long-term below the surface in these conditions. The subsurface oceans that are believed to exist on Europa and Enceladus would have conditions similar to the deep oceans of Earth where tardigrades are found, volcanic vents providing heat in an environment devoid of light. The discovery of extremophiles in such locations would be a significant step forward in bracketing the range of conditions for life to exist on planets around other stars."